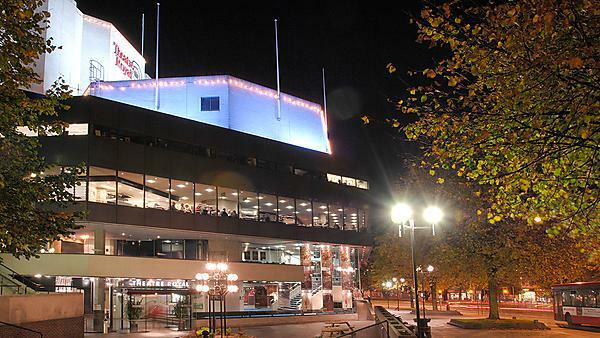 Theatre Royal Plymouth enjoys a national profile based on its artistic reputation and the innovative work of its creative learning team. The team work locally with young people and communities that are often hard to reach. As well as delighting and entertaining audiences with world-class productions on its stages, the Theatre believes passionately in the impact that theatre and performance can have on people’s lives. Plymouth University is proud to be a long-term corporate sponsor of the Theatre Royal but our mutually beneficial partnership runs so much deeper. Through this unique partnership our students can train to be professional actors, with a BA (Hons) Acting degree developed and delivered through collaboration between Theatre and University experts. As a University we promote the BA (Hons) Acting and BA (Hons) Dance degrees in the theatre programme, and promote theatre productions on campus including on The House screen reaching staff, students and the wider community. Students from across the University can find paid or voluntary roles with the theatre, often but not necessarily aligned with their programme of study. Discounted tickets are available through the partnership for University staff and students, who are actively encouraged to visit the theatre including the Drum Theatre performances, make use of the corporate hospitality packages available and engage voluntarily in the Theatre's community outreach activities. In addition to studying on campus, including in our stunning purpose-built theatre The House, our partnership with Theatre Royal Plymouth enables our acting students to train with leading professionals on site, learning to make and promote their own performances and being equipped for a career in today’s diverse theatre industry. UPSU Media were invited to capture what it takes to stage a prestigious performance at Theatre Royal Plymouth through a student-led documentary film and interview. This film formed part of an insightful guest lecture from the Theatre's senior management team for our event management students, as well as useful promotional collateral for the Theatre.